Customer photo of her custom project. The first day- the yes day - the best day. 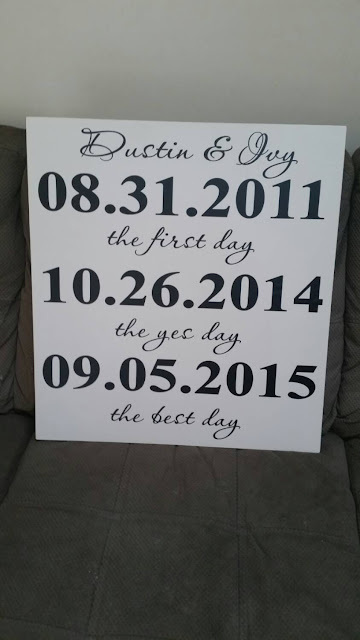 A great tile for your wedding decorations, an anniversary gift, etc. Personalize with the names of the bride and groom and the dates. Find this item in my Etsy shop HERE. Customize it like this for no extra charge.